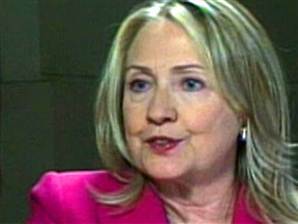 Andrea Mitchell of NBC News interviewed Secretary Clinton in Turkey over the weekend. Sec. Clinton shared her view of America’s role in empowering women at home and abroad. QUESTION: What is happening in this political campaign? SECRETARY CLINTON: Well, I see it now from the perspective of having traveled so extensively, and we know that where women are marginalized, where they’re demeaned, where their rights are denied, there is the likelihood you will have less democracy, more poverty, greater extremism. The United States is the model. There’s been no place better to be a woman than in 21st century America. So we cannot allow any voices to be given credibility that would undermine the advances that women have made in our country. And I wanted to point out that it’s not only about American women, which of course is our first and foremost concern, but it’s about the example we set, the message we send to women around the world. QUESTION: When Meryl Streep introduced you at that same conference, she said of you, “It is not a simple job to be a role model; it’s an enormous burden. But that’s what we ask of her.” Are you willing to take that on? SECRETARY CLINTON: Well, I don’t think of myself that way, but I know that I am considered that in the eyes of many people, and it’s a great honor. It is a burden. QUESTION: The most popular woman in the world for 10 years in a row. Entry filed under: Uncategorized. Tags: Andrea Mitchell, development, Helping Women Helps the World, Hillary Clinton, iran, NBC News, Secretary of State, State Department, Syria, Turkey, women, Women in the World Conference, women's development, women's rights.